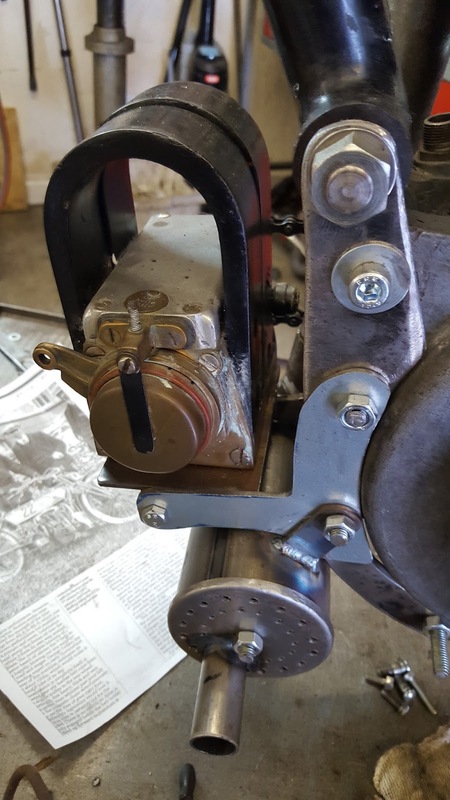 -SG- In December last year we carried a posting of a possibly rather dubious and claimed 1907 machine for sale in South America. 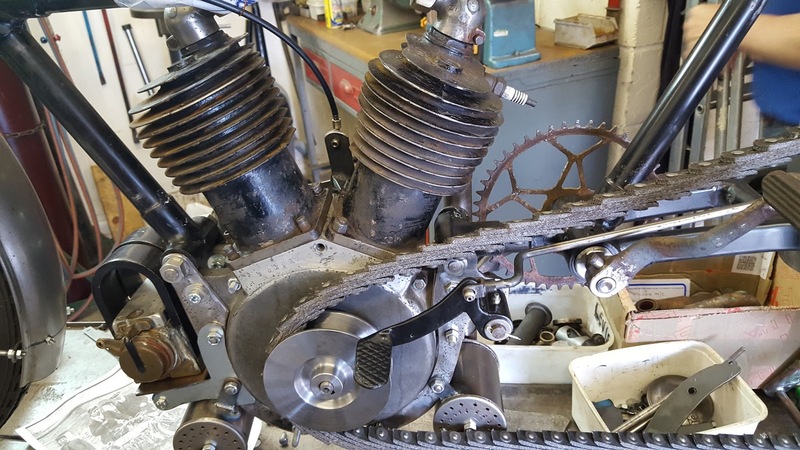 This bike was puchased by Sammy Miller and is in the process of re-creation. 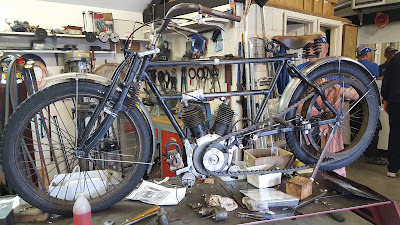 Initially I heard that he was rather dis-satisfied with his acquisition but, none the less, work is proceeding on the bike as recent photos from the hallowed sanctum of his workshop at New Milton show (courtesy of Alan). 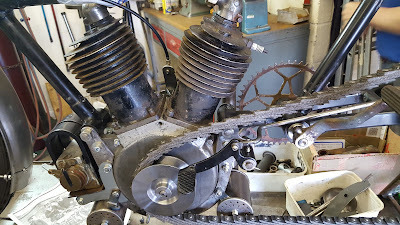 I notice that, laying on the bench under the bike, is a copy of the well known 1907 photo of Rem Fowler and his bike, taken in the IOM, but hopefully, we are not going to finish up with another Fowler replica to add to the one in the NMM!